Aubameyang will sign a three-year deal at the Emirates after making it clear he wanted to leave Borussia Dortmund in a £56m deal. The Gabonese striker left Germany under a cloud following a string of disciplinary issues in the Bundesliga. Aubameyang’s move is now likely to allow Olivier Giroud to complete his move to Premier League rivals Chelsea. 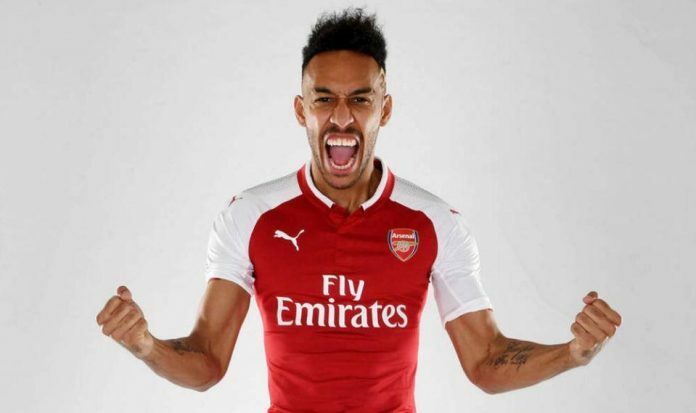 Aubameyang, 28, was spotted arriving at Arsenal’s training ground on Tuesday after getting a private jet to Luton Airport earlier in the day. He completed a medical this morning and agreed personal terms with the club with his wages set to be worth £180,000-a-week. And it will mean Auba will link up with former Dortmund team-mate Henrikh Mkhitaryan who joined from Manchester United earlier in the month. Dortmund announced his exit on deadline day, with Michy Batshuayi set to replace him.